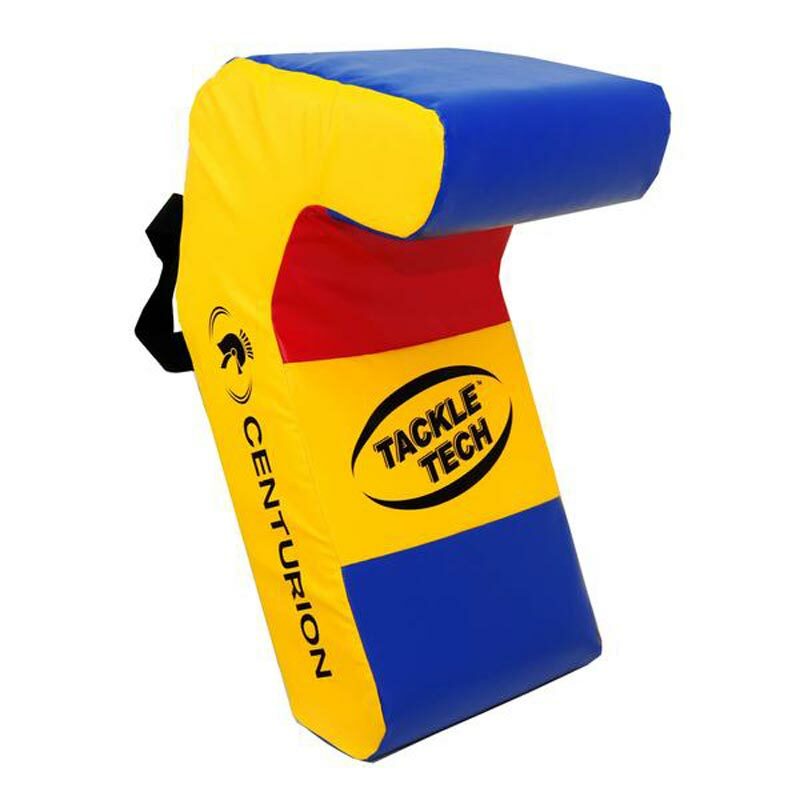 The Centurion Tackle Tech Shield is designed specifically and uniquely for the development of correct tackling technique. 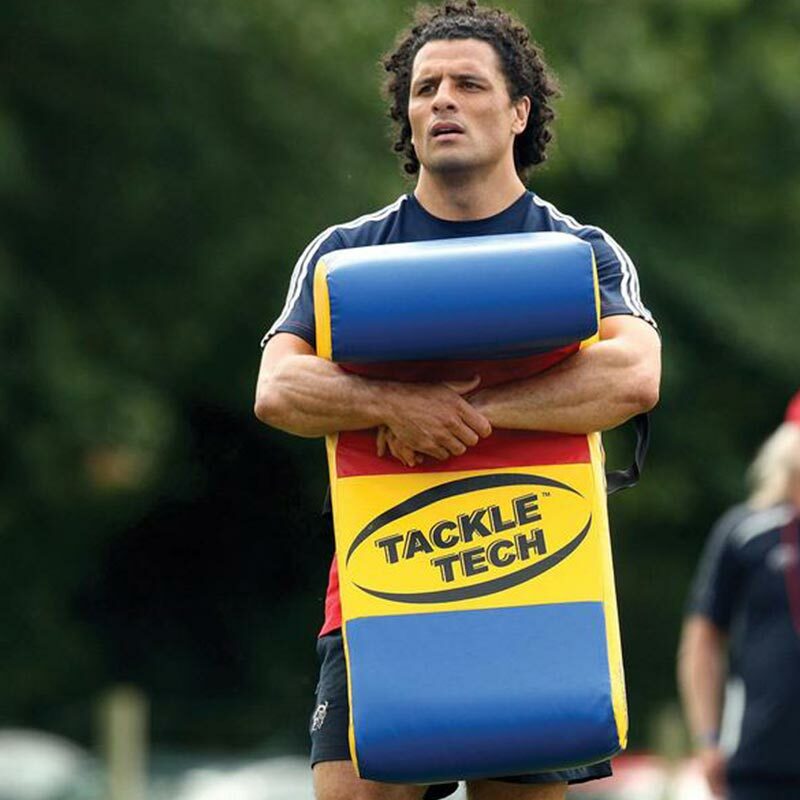 Training players to improve their ability to develop a good solid powerful body positioning when making tackles, producing a tackling technique that is strong, powerful, effective and efficient and also safe. Powerful body position - straight back, correct hip and knee angles, vital for generating power. Close in footwork - the tackler has to get in close to the pad to tackle it correctly. Coaches can identify good and bad technique far more easily. Through repetition of correct technique on the Tackle Tech Pad it will improve tackle technique! 40cm x 17cm x 80cm. 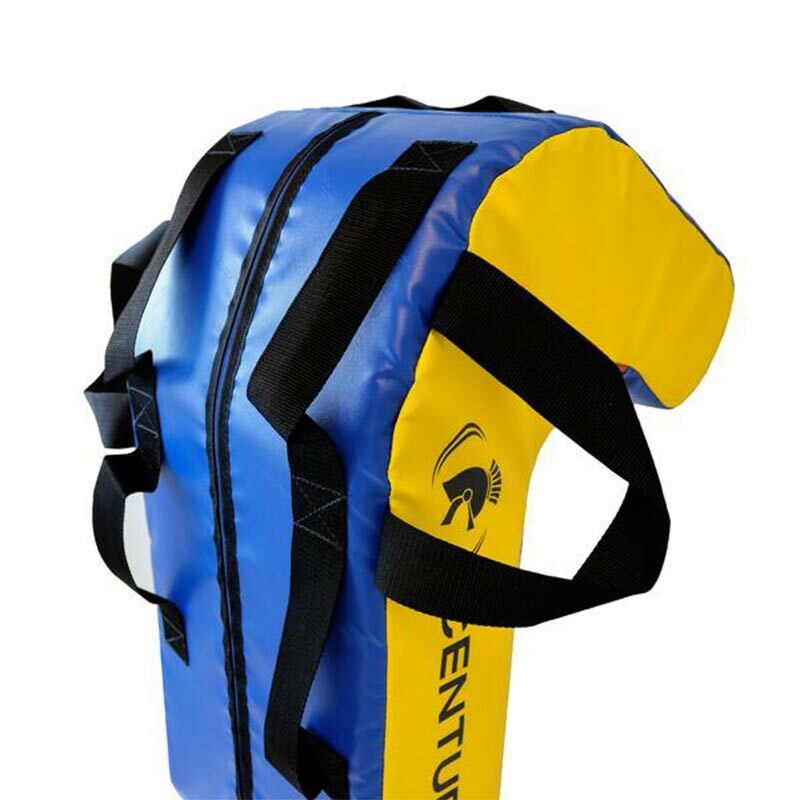 27" x 13" 32" x 16"
A well made and well priced tackle shield . Excellent for coaching correct technique to all age groups. I would highly recommend.